Well, Scotchvember is over at Bargain Bourbon, and repeal week is here. With December 5th right around the corner, I am reviewing a bourbon I have wanted to review for a long time, a throwback bourbon to an older time. It is one of those bourbons that tempts you from the bottom shelf at the liquor store, with its reputation for wild nights and the big numbers “114” across the black box. Old Grand-Dad 114 has no age statement, but I suspect it is about 7 years old or so. Like the standard orange bottles of Old Grand-Dad, this whiskey comes from Jim Beam’s high rye mash bill, (the same juice that comprises Basil Hayden’s with a lot more alcohol). 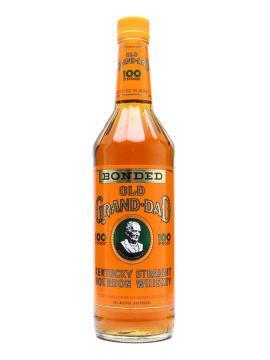 As the name indicates, Old Grand-Dad 114 is bottled at 57% abv/114 proof, and pays homage to Basil Hayden, Sr., whose portrait still graces the Old Grand-Dad bottle. The first thing you’ll notice after pouring this bourbon is its rich, dark mahogany in the glass. There are also some orangish hues to the bourbon, giving it a truly beautiful appearance. From the moment you dip your nose into this bourbon, it is a heavy hitter. There is a lot of cinnamon, brown sugar, rye heat, sawdust, fresh oranges, dried tea leaves, and potpourri. There is definitely a dense sweetness to it, but the rye influence is palpable from the get-go. The palate is big, full-bodied and continues right along with the nose. Notes of corn bread, caramel, tangerine, orange cream, cinnamon, and berry fruits are all present on the palate. The finish is long and warming, with caramel, sawdust, red hot cinnamon, and some tannic bite. This whiskey definitely benefits from time in the bottle and time in the glass. The first pour out of the bottle was hot and rough, but as the bottle opens up, this bourbon becomes something very enjoyable. 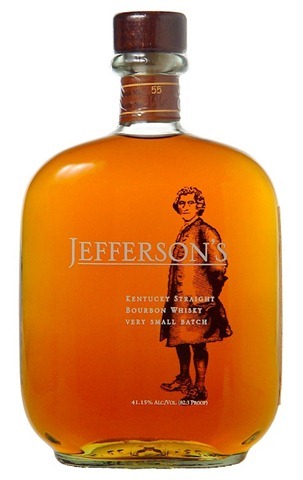 Overall, I am big fan of this bourbon, especially for the price. It reminds of the great deal that is Wild Turkey 101. It is not really a bourbon for everybody, especially if you are new to bourbon. 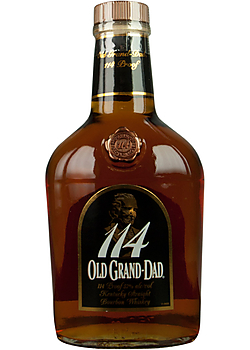 On the other hand, if you are a bourbon fan who needs a solid cabinet staple this winter, look no further than Old Grand-Dad 114. This is by no means the best thing at your liquor store, but it shines brightly at its price point, for sure. After all, any bourbon good enough for George Thorogood is good enough for me. My grade: B/B-. Price: $25-30/750ml. For under $30 and 114 proof, this is really a hard bourbon to beat.